Results from the recently published international PISA exams indicate that the level of educational achievement in core curriculum subjects amongst Israel’s children is at the bottom of the Western world. 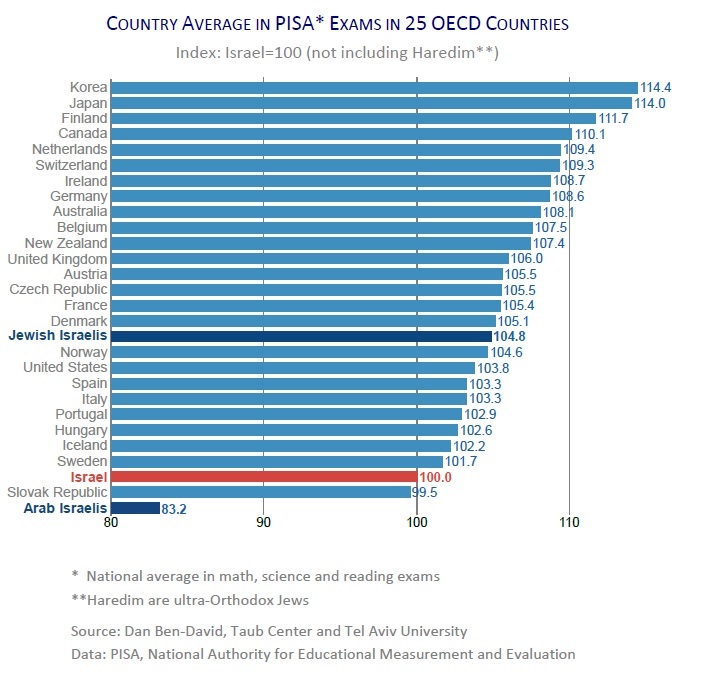 Even without the inclusion of ultra-Orthodox boys – who do not participate in the exams – the Israeli average achievement is lower than in every one of the 25 OECD countries that are relevant for comparison in the West. Likewise, gaps in achievement among the Israeli pupils are greater than the gaps within each of the 25 countries. While the country’s weakest pupils score below the weakest pupils in all of the 25 OECD countries, the level of Israel’s top pupils is lower than in 24 out of the 25 Western countries.